After breakfast, Enjoy your day at Sentosa Island. Enter and explore the marine realm of S.E.A. Aquarium, home to more than 100,000 marine animals of over 800 species, across into 49 different habitats, each one as fascinating as the next. It's an experience you wont forget. Surrounded with lush tropical greenery, Butterfly Park & Insect Kingdom showcases the stunning beauties of mother nature. With a great variety of fluttering butterflies and exotic insects, this tamed wilderness is sure to delight you. The Luge offers a truly unique outdoor experience suitable for all ages that is not found anywhere else in Singapore or Southeast Asia. After Luge, board the Skyride and take in the fantastic panoramic scenery of the city skyline and beautiful coastline. There's no better way to complete a fabulous day at Sentosa than to take in a spectacular night show set outdoors against the backdrop of an open sea. Come, discover an awe-inspiring display of water, laser and fire effects, set to majestic music and a panorama of breathtaking vistas - Wings of Time. Weaved together by a tale of friendship and courage that will linger with you long after you leave the magical isle. Return back to hotel. Overnight in Singapore. Welcome to Kuala Lumpur! On arrival, complete your immigration procedure, collect your luggage and proceed to the arrival hall where you will be met by our representative and transferred to your hotel for check in. The evening is free for you to relax or explore this city on your own. Overnight in Kuala Lumpur. 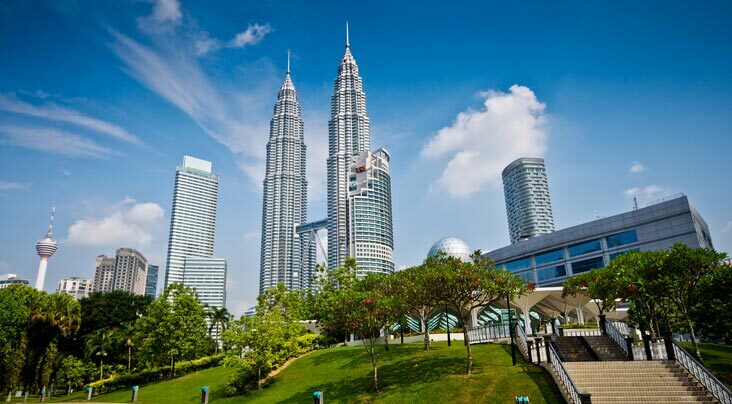 After breakfast, proceed for a Half Day City tour of Kuala Lumpur. This tour will bring you to the confluence of the two rivers (Gombak & Klang River) where the name of Kuala Lumpur originated from, then to the King's Palace, the National Monument, drive pass Lake Gardens, photostop at National Mosque, the Moorish styled railway station, then proceed to Independence Square and Sultan Abdul Samad Building, nicknamed as the Clock tower of Kuala Lumpur. Notice the abundant greenery in the city, particularly at the Lake Gardens. A photostop at the magnificent Petronas Twin Towers is also included. Return back to hotel and overnight in Kuala Lumpur. Same cancellation policy will apply for postponements of bookings or in case of change of hotels duringthe progress of tour. Christmas / new year / Diwali / Eid period. The above policy would not be applicable for iconic hotels such as Marina Bay Sands, Burj Al Arab,Atlantis, Venetian, Genting etc. All rates are valid on validity dates mentioned. Via.Com reserves the right to change Validity dates given (The rates are valid for minimum 02 adults traveling together at all times. The rates for Single passenger travelling alone would be advised at the time of confirmation. The Single passenger rate mentioned in this package is applicable for thrid passenger opting to stay in Single Room. Surcharges wherever applicable would be advised at the time of booking and would be based on your final date of travel. The surcharges mentioned in this package are tentative (subject to change) and are for per person on twin/triple sharing basis only. The rates are subject to availability of hotel accommodation and sightseeing tours at the time of booking. We reserve the right to use an alternate hotel accommodation of an equal or higher standard. If we source a more expensive alternative, we reserve the right to re-quote based on the higher rates. 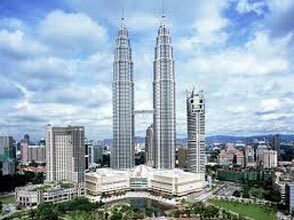 Kuala Lumpur Hotel Check in time is 1500 hours / Check out time is 1200 hours. Genting hotel Standard Check in Time is 1500hrs/ Check out time is 1100hrs. Early check in and check out is subject to availability and cannot be guaranteed. Sightseeing tours are strictly based on weather conditions and local service providers have the right to cancel the sightseeing tours without prior notice. All transfers service would be suspended during bad weather such as typhoon, heavy rain or fog. No refund would be given in case of unavailability of complimentary services. Genting Attractions are subject to availability based on Resorts World Genting Development Plan. In case of unavailability, we reserve the right to retract the service from the package or replace with another attraction of similar value. Via is not responsible for any change in the price due to factors not in the control of the organization. 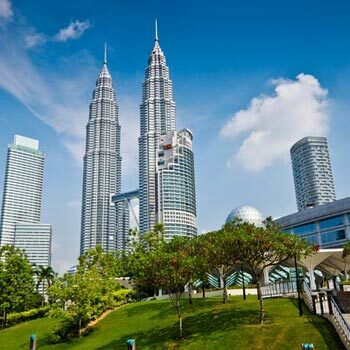 For travel to Malaysia, travelers must have a passport valid for six months from the date of return and he/she must obtain a valid Malaysian visa prior to their departure.